Smoking cigarettes can leave a lasting imprint on human DNA, altering more than 7,000 genes in ways that may contribute to the development of smoking-related diseases, a new study says. Reviewing results from blood samples taken from nearly 16,000 people in 16 prior studies, the researchers also found that for those who stopped smoking, most genes “recovered” within five years of quitting. “Although this emphasizes the long-term residual effects of smoking, the good news is the sooner you can stop smoking​, the better off you are,” said study author Dr. Stephanie London. She is deputy chief of the epidemiology branch of the U.S. National Institute of Environmental Health Sciences. Even so, London’s team found that some genetic changes remained, even 30 years after quitting smoking. London and her colleagues zeroed in on a process called DNA methylation -- genetic changes that don’t alter genes’ underlying code but can change how they’re expressed, or turned on. Known to contribute to an array of health problems including cancer, heart disease and stroke, cigarette smoking remains the leading preventable cause of death worldwide, accounting for nearly 6 million deaths each year, according to the study. Even decades after smokers quit, the habit confers the possibility of long-term risk of disease. DNA methylation changes have been proposed as one possible reason for this. London’s team compared DNA methylation sites in current and former smokers to those who never smoked. 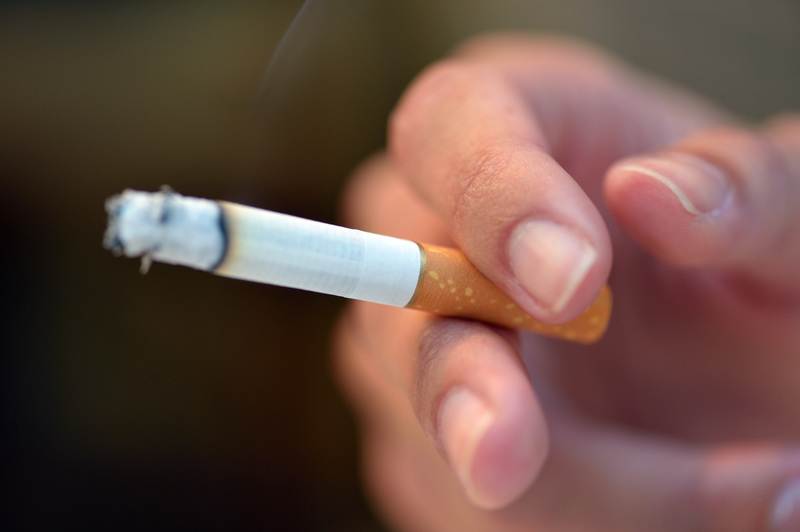 In addition to finding that smoking-related DNA sites were linked with more than 7,000 genes -- about one-third of known human genes -- the researchers learned that some DNA methylation sites persisted even three decades after quitting. Identifying these smoking-related​ DNA changes may lead to diagnostic tests that can more accurately evaluate a patient’s smoking history, London said. This information could also be useful for better identifying the health effects of a person’s smoking history, London said. And it offers the possibility of developing potential new treatments to repair DNA methylation sites, she said. The study was published Sept. 20 in the journal Circulation: Cardiovascular Genetics. Dr. Norman Edelman is senior scientific advisor for the American Lung Association. He said the new research “raises some tantalizing issues” despite not being able to establish a clear cause-and-effect relationship between smoking-related genetic changes and resulting health problems. “Those of us who deal with smoking as a public health problem understand ... that anything you look at seems to be affected by smoking,” he said. “Many cancers, bone disease, lung disease, heart disease, [gastrointestinal] problems -- smoking has such a wide array of effects, it’s not especially surprising to hear its epigenetic effects.